At 12:00 tomorrow, I am joining my friend Maggie Mundy at a release party for her new novel ‘Unknown Protector’. 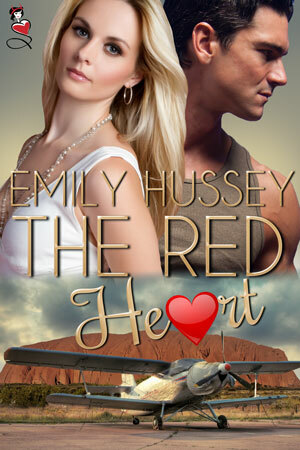 I will also be introducing The Red Heart, my novel set in Alice Springs, the red heart of Australia. What better place for a young woman to start her flying career? Kathy encounters eccentric characters, bushfires, unusual race events, and then of course there are the people who live on the stations. Some are so welcoming, but Brandon Woodleigh has no time for this young woman from the city. As far as he is concerned, she is out of her depth in a harsh environment that has no time for novices. When disaster strikes mid-flight, it seems that Brandon was right all along. The subsequent silence on the radio is ominous. It is evident to those on the ground that Kathy and her passenger have come to grief but can they have survived in that rugged country? Join me as we take part in the party. For one lucky participant there will be a free copy of my book and if you hang around other authors will be introducing their new releases as well. You might like to brush up on your knowledge of the book and of Alice Springs. Here is the link for tomorrow. I’d love to see you there. Maggie writes dark speculative fiction. The first book in the Midworlder trilogy, Unknown Protector, has been contracted to Soul Mate Publishing and will be available October 1st. This entry was posted in Uncategorized by Duckie. Bookmark the permalink. Welcome to those people who attended the release party. Hope to see you here sometimes.